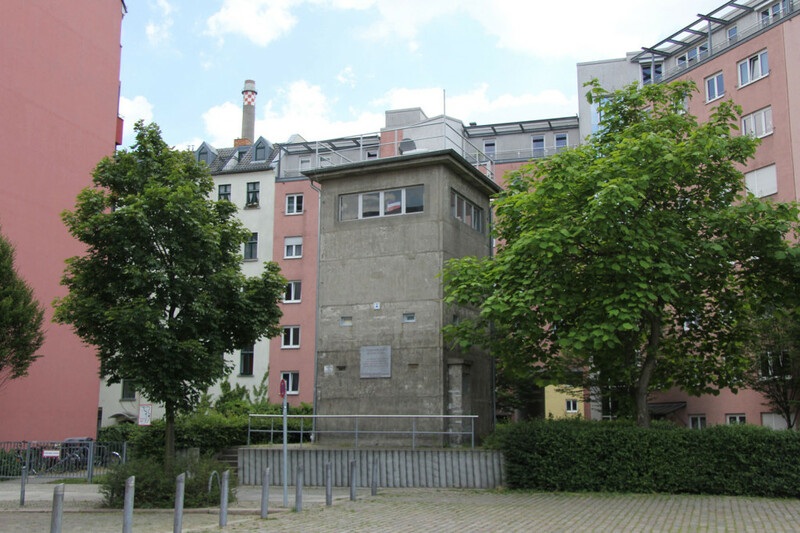 In a quiet cul-de-sac in Mitte alongside the Berliner-Spandau Schiffahrtskanal (Berlin Spandau Shipping Canal), the Gedenkstätte Günter Litfin is a former border watchtower has been lovingly restored as a memorial to Günter Litfin, one of the earliest victims of the Berlin wall and I’m sad to say I would advise you not to visit. 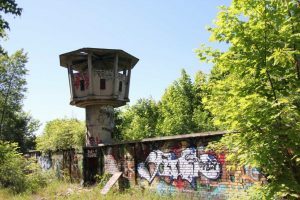 Having described the former watchtower as ‘lovingly restored’ you may now been wondering why I would advise you not to go there and more of that later but first a little of the tragic history of Günter Litfin and the memorial to him. On 24 August 1961, 11 days after the ‘erection’ of the Berlin wall, Günter Litfin, a tailor from Weissensee, coming from the grounds of the Charité Hospital made his attempt to cross from East to West by swimming across the Humboldthafen. 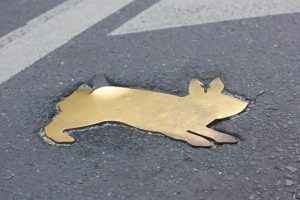 He was the first person to die as a result of shots fired by border guards ordered to shoot those attempting to flee East Germany over the newly erected border. 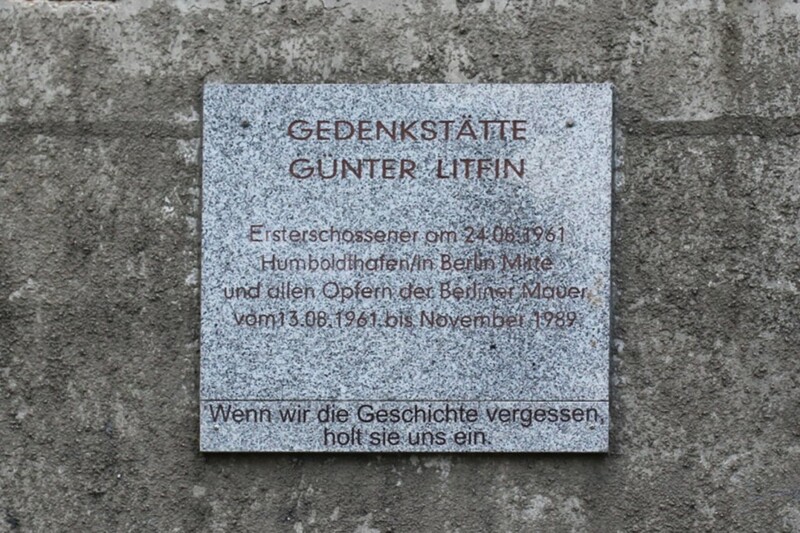 A memorial stands at the edge of water close to where he was shot but Jürgen Litfin, who was arrested by the Stasi in the aftermath of his brother’s death, wanted to do more to keep the memory of Günter alive. 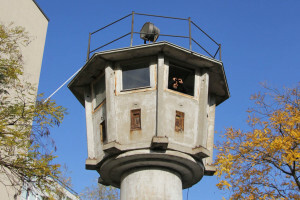 He was told about the watchtower on Kieler Straße by former Berlin mayor Klaus Wowereit and set about restoring it and decorating it with newspaper cuttings, photographs and other mementos of the time when it was manned by a team of soldiers guarding the border from the panoramic windows at the top of the tower. 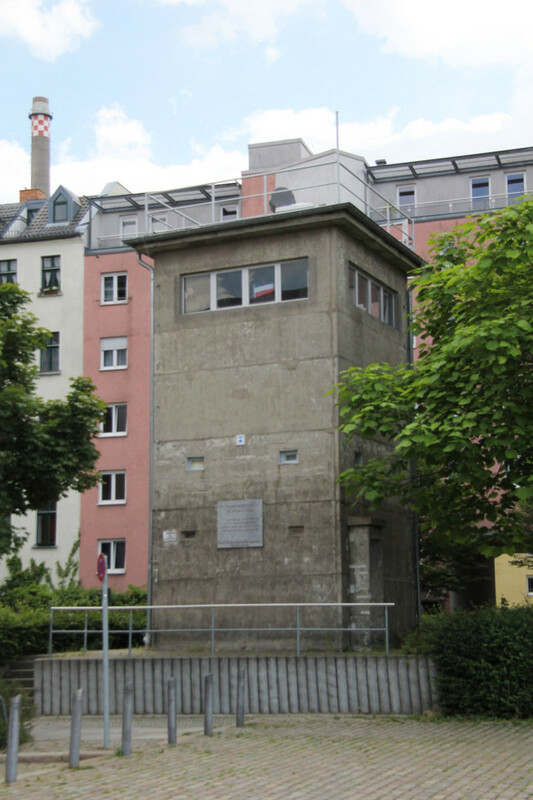 So, a fascinating albeit tragic history and what seems to be a beautiful idea for a memorial so why would I advise people not to visit the Gedenkstätte Günter Litfin? Well, I only wish I had got to see the tower and hear about it first hand from Jürgen Litfin, who conducts guided tours. 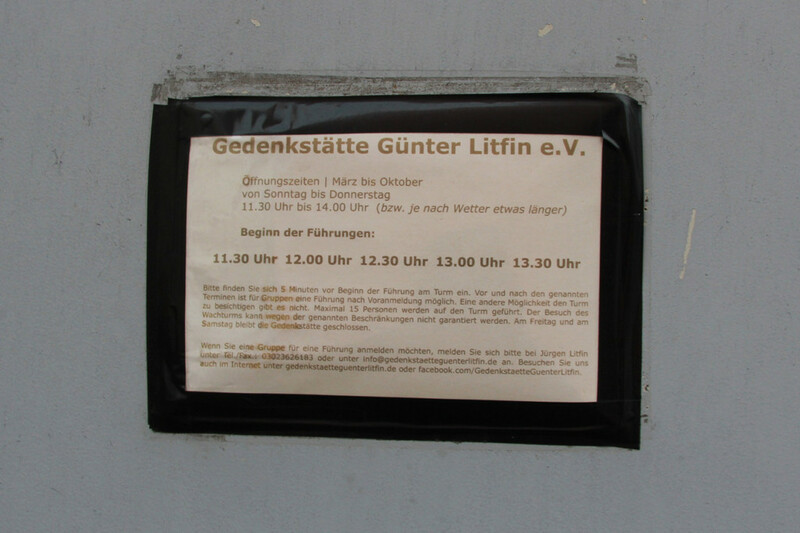 I went to the Gedenkstätte Günter Litfin on Monday afternoon and immediately regretted not checking the opening times online beforehand – it was closed. So, having rechecked the opening times on the Gedenkstätte Günter Litfin website (Sunday to Thursday 11:30 to 14:00) and the times of the tours (each half hour) I revisited on Tuesday. 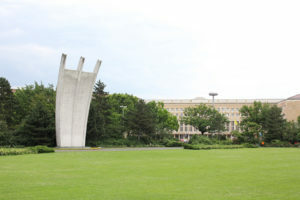 I arrived at 12:45 hoping to take the 13:00 tour and saw a grey-haired man I assumed to be Jürgen Litfin talking to a group of visitors on bikes outside the tower and took a seat on a nearby bench to wait. 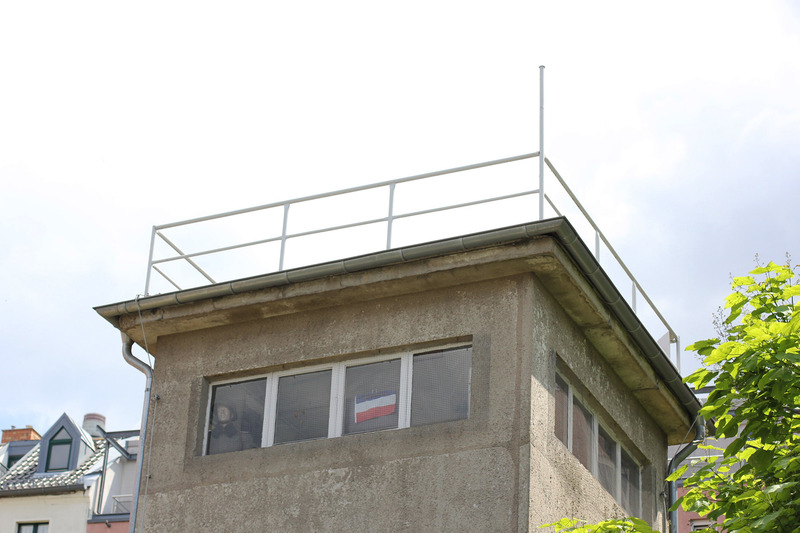 At 12:55 when the group cycled away and Jürgen Litfin took a seat in his car and smoked a cigarette I went to stand outside the tower, hoping it would then be clear that I would like to do the tour. I checked the opening times and tour times on my phone (more than once) and checked the time regularly. Shortly before 13:10 Herr Litfin emerged from his car, walked past me without acknowledgement and went to the door of the watchtower. I was a little puzzled that he had ignored me but ‘great’ I thought he is opening up for the tour. I climbed the steps and approached Herr Liftin. The conversation (which took place in German) went something like this. Jürgen Litfin looked at me like I was a complete idiot. Then he spoke to me rather gruffly. I thought this would be the opportunity for the guide to tell me when I should come back to take a tour inside the tower and possibly tell me a little about it. OK, we’ve established that already maybe now he’s going to start telling me the history of the tower, I thought. A look from him that was a mixture of puzzlement, contempt and anger. Having travelled for almost an hour specifically to take the tour I then went to one side and tweeted about my frustration and Jürgen Litfin got in his car and drove away. That is why, for only the second time since I started this blog I would advise you not to visit a place I’m writing about and this, one that I was truly excited to see for myself. To my mind it is pointless visit the Gedenkstätte Günter Litfin in the hope that you might be able to get a look inside, I would recommend instead reading about it in this article on Slow Travel Berlin and a visit to the Watchtower near Potsdamer Platz where I had a much more successful, insightful and pleasant visit. So on a blisteringly hot day you meet an old man who tends a memorial for his brother and all you can think of is you? The world is not a theme park, not a tourist destination. The world may not be a tourist destination Dav but this memorial is because Jürgen Litfin advertises for visitors. You’re obviously the ultimate altruist and would never dream of being offended by someone else’s behaviour but I wasn’t only thinking of myself. I was also thinking about all the people who had visited before me and would visit after me. I was wondering if this was the usual hospitality. 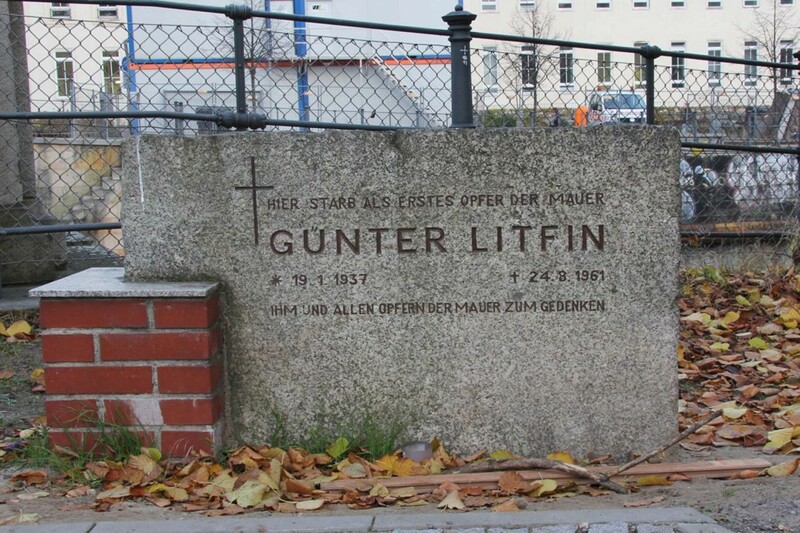 But I was mostly thinking of Günter Litfin. He was the reason I was there after all. I would have been disappointed not to see inside the tower but that is after all only a symbol. What I was really looking forward to was some personal insight about Günter Litfin – his life and the circumstances surrounding his death – from the person I thought would be best placed to offer it. I had, perhaps wrongly, assumed that this was what the tour was about. Now I’ll never know.